Hailing from the picturesque shores of the North East coast, Cape Cub started life as the bedroom solo project of songwriter and producer Chad Male. 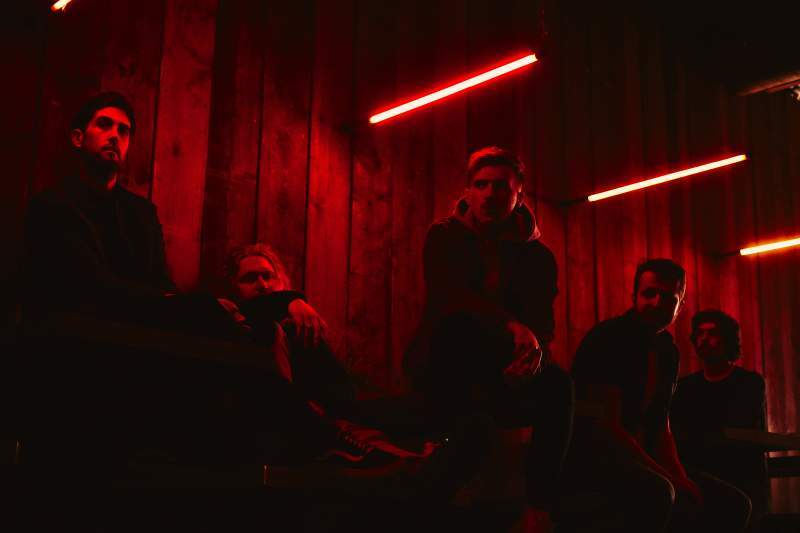 Having recently transitioned into a fully-fledged band, Cape Cub introduce the four new members with the video for latest single Moonglow via VEVO. Filmed by Jodie Canwell in Middlesbrough’s Grade II listed former Post Office in Exchange Square, Cape Cub deliver some big hooks and unashamedly anthemic moments on a song that is ready made to soundtrack your summer. “This was never meant to be one person,” explained Chad. “The whole thing started out as a project on my laptop. It’s now got to a crazy point where millions have people have listened to my demos and EPs across the world and the live show has grown into something I just couldn’t have imagined back when it first started. Our fans are literally the sweetest people, we’re so lucky that there’s a lot of them kicking about these days, and it’s because of them that this project has transformed into what it is. Like I said, this was never meant to be, or be about, one person. “What’s cool about our band is that we’re all really, really good friends. Some of us have been writing and playing music together since were thirteen years old and it’s a bond that goes way beyond Cape Cub. It feels that we’re really ready to take this thing on full speed now. “One thing that unites us all is a love for wilderness and the outdoors. It’s a common thread throughout the music. Those vast spaces that surround us at home, whether that be the coastline or the moorland, converge with the music in ways I couldn’t begin to describe. It’s important that our music is rooted in something that feels like home, and I hope that’s what people connect to; that the music is there when nothing else is. “Musically, and I swear this is without immodesty, we take our cues from the arenas. We’re unashamed of saying some of our biggest influences are the ones we grew up listening to like The Killers, U2, Springsteen, The Eagles, Kate Bush, Death Cab For Cutie and The Cure. Those are the acts that aren’t scared of having that fire in their hearts. We’re equally informed by the intimate, hauntingly beautiful melodies and prose of the likes of Joni Mitchell and even Bon Iver, too.